Pro 50 is a premium vinyl tape designed for safety marking. Highly conformable to all surfaces. Abrasion resistant. Used for color coding. Satisfies all O.S.H.A marking requirements. PPP-T-66D, Type 1. Features: short term, high temperature resistance, highly conformable, good solvent resistance, good abrasion resistance, good moisture resistance, weather resistant. Applicable for packaging, safety, color coding and labeling, silk screening, tabbing, bundling, sealing, electroplating. Vinyl film Backing material. Natural rubber resin Adhesive material. 18 pounds per inch tensile strength. 12.6 ounces per inch adhesion to steel. Measures 36-yards length by 2-inches width by 6 mils thickness. Available in clear color. 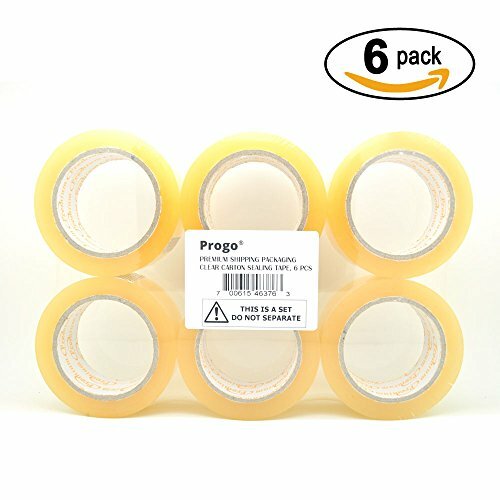 Progo premium carton sealing tape, 6 pcs pack. 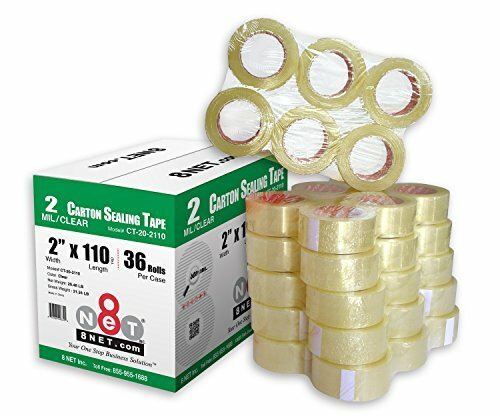 This box sealing tape features high-performance, all-season adhesive for excellent holding power during extreme hot or cold temperatures. 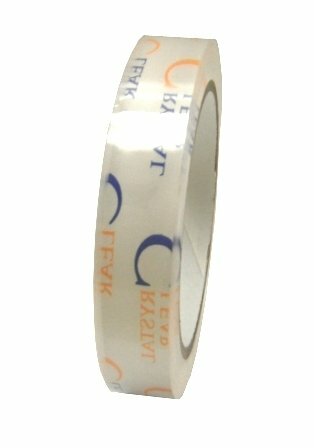 This carton tape is 110-yard long, 2 inch in width and have a standard 3-inch core. They can be used with standard 2 inch hand-held tape dispenser. The leading edge of the tape features a small non-sticky strip, to make starting the roll easy. 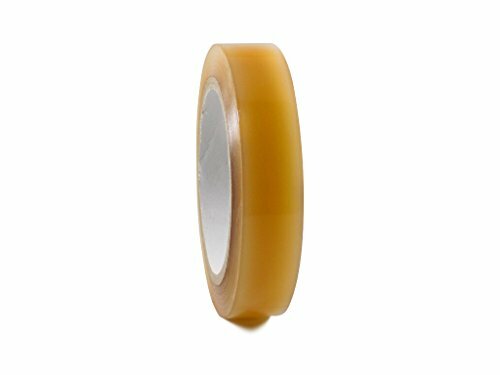 This box tape is approved for use with all major shipping carriers, including UPS, FedEx, DHL, USPS and more. 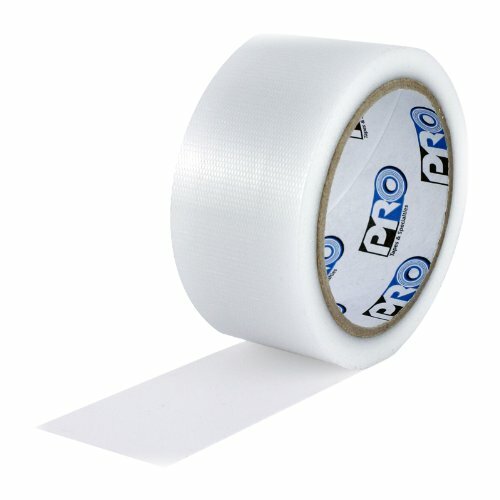 ProTape 160 is a versatile, waterproof, poly/scrim duct tape that contains acrylic resin adhesive base with biaxially oriented polypropylene backing. Pro 160 can be used in a wide range of sealing, joining and protecting applications. Also used for repairing, binding and hinging. Features quick stick, good adhesion, short term, high temperature resistance, highly conformable, good solvent resistance, uv resistant, easy unwind, good abrasion resistance, good moisture resistance, waterproof backing, weather resistant. -20 to 150 degrees F operating temperature. Having 36-pounds per inches of tensile strength. 32-ounces per inches adhesion to steel. Measures 55-yards length by 2-inches width by 6-mils thickness. Available in clear color. 2.0 mil, 2" width, 110 yards (330 feet) length, Clear. 8 Net tapes are tested for long term storage, excellent clarity, consistent smooth release. Strong all-season adhesive, grips well to recycled corrugated. High temperature tolerance in extreme hot or cold environment. High performance, Resists abrasions and splitting, assuring safe delivery of boxes. 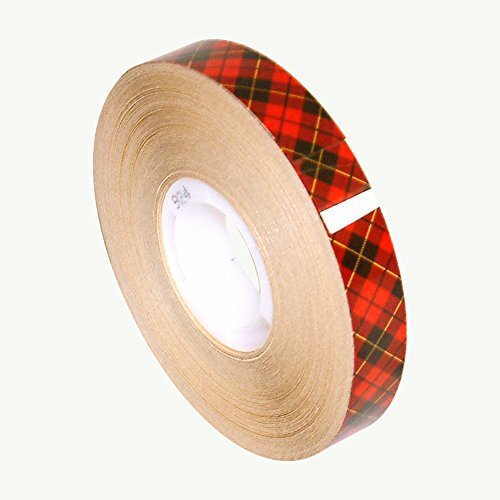 Multi-purpose sealing tape, suitable for home, commercial, industrial, moving, mailing, shipping, packing, storing and anything needs to be sealed. 2 inch x 110 yds. 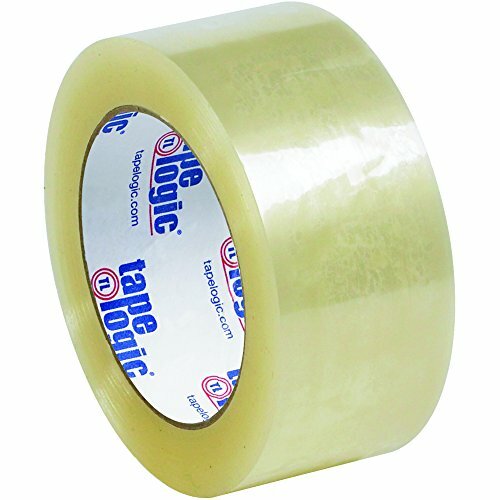 Clear (6 Pack) tape logic #126 quiet carton sealing tape. Noiseless release for offices and mailrooms. Clear acrylic tape retains its clarity over long periods of time. Will not yellow. Consistent, smooth, quiet release. Strong adhesive grips well to recycled corrugated. 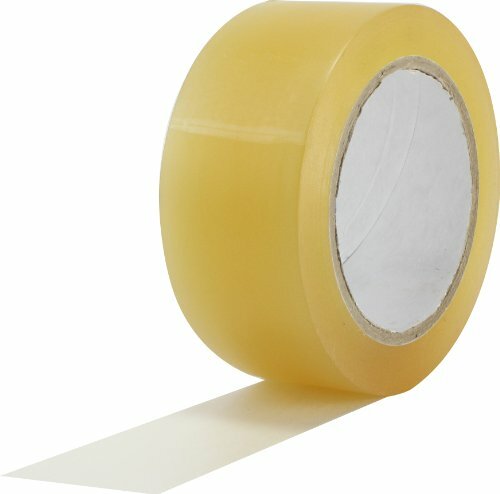 Looking for more Yds Clear Tape similar ideas? Try to explore these searches: Cues Eagle Pool Cue, Womens Terry Spa Robe, and Mem Stick. Look at latest related video about Yds Clear Tape. Shopwizion.com is the smartest way for online shopping: compare prices of leading online shops for best deals around the web. Don't miss TOP Yds Clear Tape deals, updated daily.